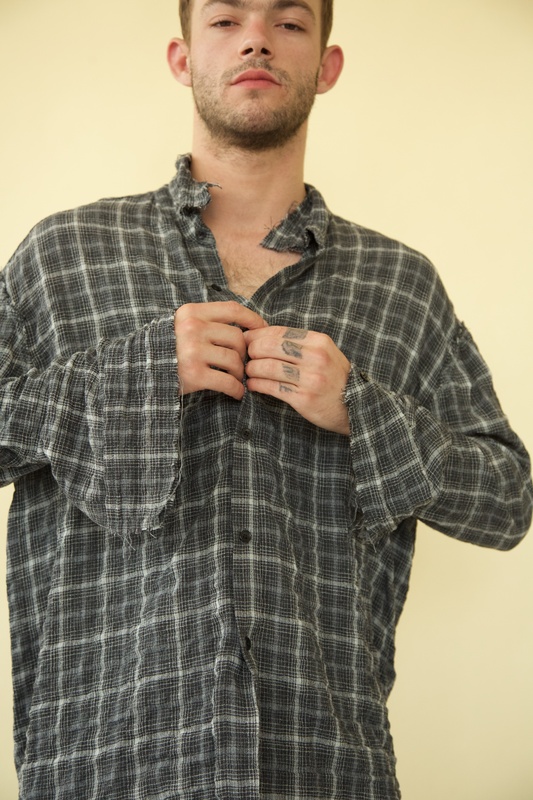 Kurt-inspired oversized “raw” shirt. Raw edges finishing. Buttons closure.